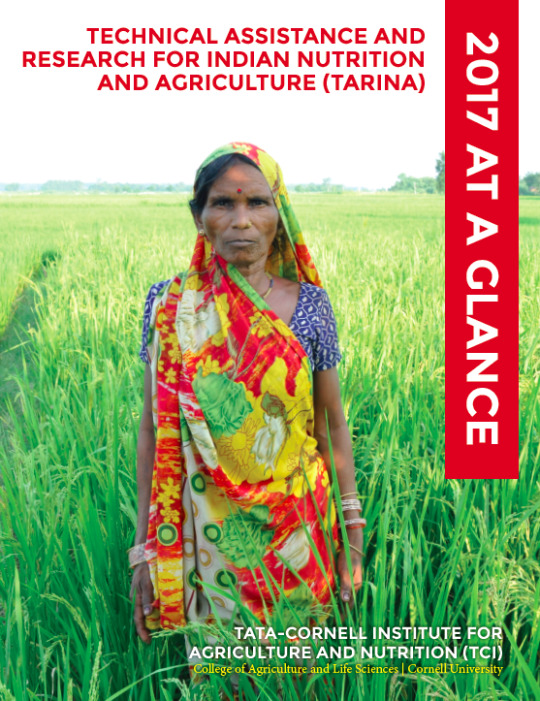 The Tata-Cornell Institute for Agriculture and Nutrition (TCI) releases its Technical Assistance and Research for Indian Nutrition and Agriculture (TARINA) 2017 at a Glance Report, which summarizes ongoing activities and progress achieved across thematic areas of the TARINA program over the past year. This year’s issue features research and field-based interventions implemented by TARINA partners in each program location. Additional information about TCI and its research initiatives is available in the TCI 2017 Annual Report.